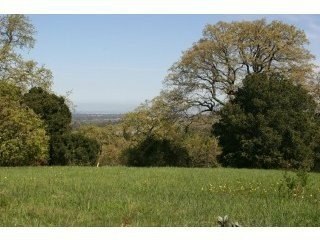 Palo Alto With An Incredible View! October 21, 2009 Real Estate News Comments Off on Palo Alto With An Incredible View! I saw an area of Palo Alto that doesn’t have a lot of homes for sale, so finding one in this area is quite a thrill. Palo Alto is known for a suburbia type of a setting, but this area is further out from the town and located up in the hills. Up Alpine road and amongst the rolling hills where bike riders line the roads on weekends lies this great opportunity for the right buyer. Privacy and seclusion are mainstay’s of this area. This home for sale in the hills is an average home, but it’s the view and location that makes it worth the 4 million or so price tag. To me, the house could be considered a tear down as it looks like it was built in the 60’s and not really renovated since then. But, having 3 acres with a home on the top of the hills and a 360 degree view is impossible to find. You can see the SF bay from one side of the house and the hills and wineries from the other side of the house. Houses or neighbors are all down below you and hard to find any close enough to even hear them if they were to stand in their yard and yell to you. If you can afford the millions to buy it, then spending additional money to build your dreamhouse is well worth the money. This property has the potential for an investor to really build a special property that would be sure to sell to a big name celebrity or political leader. 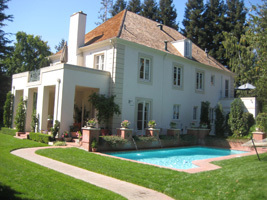 If this Palo Alto Luxury home for sale could be right for an investor you know, please shoot me an email and I can send you some more information. Actor Nicolas Cage has chopped the asking price of his celebrity estate of approximately 11,000+ square feet – once owned by Dean Martin. He first put it on the market for $35M in 2007, then cut the price to a bargain hunting $17.5M, and now it’s reported that he’s lowered the minimum asking bid to $9.95M. Is this a deal or what? You decide for yourself by looking thru the photos of his home. 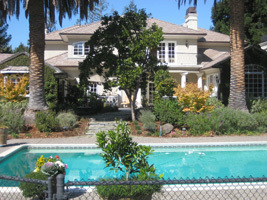 Today on the broker tour in Palo Alto, I saw many homes that are new to the market. Only one stuck with me as being a great looking home that a high end buyer could immediately move into and feel comfortable. I also put a picture up on my facebook page, you should check it out. There was also an intersting fixer uper on University Drive. Large mansion style home that needs a lot of work, but has a great entry and staircase. Lots of potential for the homebuyer who wants to fix things up. The other houses were kind of average. They will probably sell as there are lots of buyers out there looking for luxury real estate right now and good deals. For up to the minute info on my tours, follow me on Twitter at LuxuryREInsider.